M95. 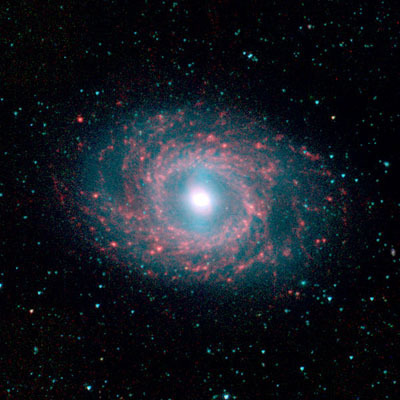 Image credit: Spitzer Infrared Nearby Galaxy Survey (SINGS). 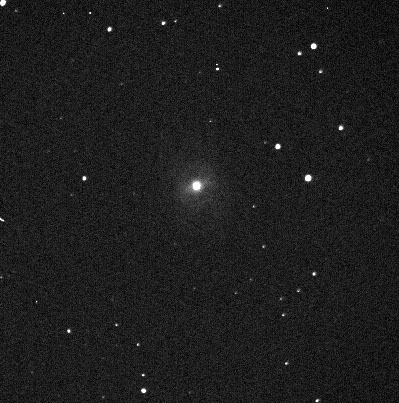 M95, view through an amateur telescope (Celestron C-9.25" on a Losmandy G11 with Gemini; imager is an SBIG ST9XE with CFW9 filter wheel). The central bar and outer regions of the galaxy are visible. Image credit: James A. Hardy. M95 (NGC 3351) is a relatively nearby barred spiral galaxy (type SB(r)b) located about 38 million light-years away in the constellation Leo. Messier 95 (M95) is part of the M96 Group of galaxies, which also includes M96 (another spiral) and M105 (an elliptical). It was discovered by Pierre Méchain in 1781. M95 is remarkable for a ring of very active star formation, centered on the galactic nucleus, which lies just outside the central bar.